Dozens of countries in Asia, Africa, Europe and elsewhere are embracing China's Belt and Road Initiative (BRI), a $1 trillion program aimed at building a vast system of transportation, energy and telecommunications networks linking China to resources and markets worldwide. So far, 117 nations have received more than $400 billion in loans and investments from Beijing, whose state-owned construction companies are building roads, bridges, power plants and other projects. Chinese President Xi Jinping says the program seeks to help China and other countries strengthen their economies. But the massive infrastructure project — the largest in history — has sparked concerns that China is trapping poor nations in debt with the goal of forcing them to surrender strategic assets and that Xi's ultimate objective is to create a new world order in which China's norms and priorities prevail. To counter the BRI, the United States is readying a $60 billion development program that it argues will help recipient nations grow without becoming burdened with debts they cannot repay. Once a week, a China Rail freight train carrying clothing and household goods pulls into London's Barking Station, the final stop on a 7,500-mile journey from the Chinese city of Yiwu. These projects are just some of the thousands of ventures across Asia, Africa, Europe and Latin America that make up China's sprawling international infrastructure program known as the Belt and Road Initiative (BRI). President Xi Jinping has celebrated his signature initiative as the recreation of the Silk Road, the ancient network of Eurasian trading routes that merchants crisscrossed with camel caravans, hauling goods between China and Europe. Xi's 21st-century version is harnessing China's industrial know-how, the world's largest foreign exchange reserves and the lending power of the country's state-run banks to construct vast transportation, energy and telecommunications networks that will link China to markets and crucial resources from the Arctic Circle to the Indian, Atlantic and Pacific oceans. And at a time when critics say the United States is retreating from the world stage as President Trump pursues his “America First” policies, many experts say the BRI could help lead to a new economic and political order based on China's standards. Asia accounts for seven of the 10 countries drawing the most investment under China's infrastructure program known as the Belt and Road Initiative (BRI). The process by which China undertakes Belt and Road infrastructure projects or invests in overseas commercial ventures is highly fluid and murky, according to Martin Chorzempa, a China expert at the Peterson Institute for International Economics, a Washington think tank. Generally, he says, governments interested in participating in the BRI sign a memorandum of understanding (MOU) with Beijing. Officials from both sides then negotiate what infrastructure projects will be built; how much the member government must borrow from China's state-owned banks; and the terms of the loan. In some cases, he adds, the two sides forgo a MOU and proceed directly to negotiations, the details of which are often shrouded in secrecy. Development experts point out that unlike the World Bank and other multilateral lending institutions in the West, China does not require borrower governments to abide by free-market principles and democratic norms. Beijing only requires that the borrower hire state-owned Chinese construction companies to perform the work. “So even though the money is officially loaned to a country, much of it winds up back in China,” Chorzempa says. Total annual spending under China's Belt and Road Initiative (BRI) peaked at nearly $106 billion in 2016. Funding for construction projects, in which China builds infrastructure within a country, also crested in 2016. Spending on investment projects, in which China takes an ownership stake in a country's assets, rose to about $44 billion in 2015 but has fallen since. 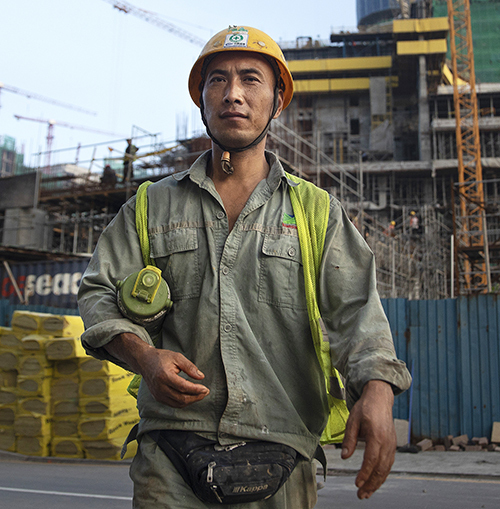 For China, the BRI is paying significant economic dividends. Beijing now controls 10 percent of European port capacity, according to the Organisation for Economic Co-operation and Development, a Paris-based economic research institution composed of 36 industrialized member countries.7 The initiative also has opened new markets for Chinese exports and is giving China access to untapped sources of raw materials. And the program is soaking up some of China's excess industrial capacity that built up during Beijing's massive stimulus spending following the 2007-09 global financial crisis. “That's the kind of situation that definitely adds to systemwide financial risks in China,” says Johan van de Ven, a China analyst at the RWR Advisory Group, a Washington-based business consultancy that specializes in political risk. Strategically, many analysts say, BRI infrastructure projects are fostering closer security ties with authoritarian Central Asian governments such as Kazakhstan on China's western periphery, providing Beijing with allies in the struggle against the region's growing Islamist threat. BRI pipelines running from the Caspian Sea oil fields to western China guarantee a secure overland energy supply route if a conflict were to close off maritime routes. The BRI also is exporting Chinese standards for everything from development loans to security measures. All these pieces make up the scaffolding for a new world order in which Xi envisions all roads leading to Beijing. The Belt and Road Initiative has translated into greater Chinese geopolitical influence in member countries, a development that has unsettled U.S., African and Western officials, according to China-watchers. Senior Trump administration officials and African critics warn of poor countries falling victim to what they call China's “debt-trap diplomacy,” an alleged strategy in which Beijing deliberately saddles BRI governments with more debt than they can pay and then forces them to surrender strategic assets, such as ports, gold mines or oil reserves. Many independent analysts say, however, that China appears to have employed debt-trap diplomacy in a handful of countries, such as Sri Lanka, where Beijing took control of the Chinese-built Hambantota port in 2017 after the Sri Lankan government could not pay off its loans. But other experts say the vast majority of BRI projects are economically viable for the host governments. “China has a comparative advantage in providing affordable infrastructure, and there are many cases where China is filling a legitimate need,” says Jeff M. Smith, an Asia expert at the Heritage Foundation. Still, U.S. officials worry about the BRI's strategic dimensions, warning that the seaports China is building throughout the Indo-Pacific region could accommodate China's growing navy. Xi's ultimate aim, they say, is for China to supplant the United States as the principal economic and military power across huge stretches of the globe. “That's clearly the goal — pushing the U.S. and the Western influence back to the margins while China exerts its own power over the vast region that is covered by the Belt and Road,” Rolland says. But even as Trump flexes American muscles on trade and territorial issues, both conservative and left-leaning experts say Trump's aversion to multilateral agreements has set back Washington's ability to constrain Beijing as it seeks to challenge the U.S.-dominated world order. Trump's hostility toward alliances “plays to China's interest,” van de Ven says. To illustrate, many experts point to Trump's decision in early 2017 to withdraw the United States from the Trans-Pacific Partnership (TPP), a 12-nation free-trade agreement that formed the centerpiece of former President Barack Obama's “pivot to Asia.”13 With the United States at its center, the TPP could have leveraged the power of free trade to draw Pacific nations away from China, these experts say. But the United States’ withdrawal “has left a vacuum that allows for China to assume a larger role within regional trade networks,” says van de Ven. Is the BRI a good deal for participating countries? Trump administration officials, as well as some independent analysts, charge Beijing uses predatory loan practices to finance “white elephant” infrastructure projects that provide few local jobs, offer little training to those residents it does employ and bury poor countries under mountains of debt that force them to surrender strategic assets to China as payment. In the end, these critics charge, BRI projects produce little economic growth for participating countries. But researchers who have studied thousands of Belt and Road projects say the accusation does not hold up under scrutiny. Other analysts agree with that assessment. “There are many countries that have accepted BRI investments where those investments have been productive, economically viable and … have contributed to the GDP and welfare of the country,” says the Heritage Foundation's Smith. Smith and other analysts cite Greece as a success story. After struggling for years under austerity measures imposed by its European partners following the 2008 global financial meltdown, the country is finally emerging from its economic doldrums, thanks in part to major Chinese investments. In 2016, the state-owned China Ocean Shipping Co. (Cosco) purchased a majority stake in the port of Piraeus, the seaport that serves Athens, for $312 million.16 Since then, Cosco has invested nearly a half billion euros in new cranes, an ultramodern floating dock and a new passenger terminal, transforming Piraeus into the Mediterranean's busiest port and a principal entry point to Europe. Greek officials say Cosco has created 1,000 permanent jobs, as well as short-term contracts for some 1,500 workers. “One of the key benefits of these development projects is the skills and experience and training that get transferred to local staff,” says the Peterson Institute's Chorzempa. Meanwhile, researchers at Johns Hopkins University and Boston University have constructed a database of China's development loans since 2000 that challenges U.S. critics who allege that BRI projects do not provide economic benefits to developing countries. According to Deborah Bräutigam, a political economist and director of Johns Hopkins’ China Africa Research Initiative, researchers found that most of nearly $100 billion that China lent to African nations between 2000 and 2015 financed projects to address the continent's yawning infrastructure gap. Critics routinely point to Sri Lanka as an example of how the BRI can hurt a nation. 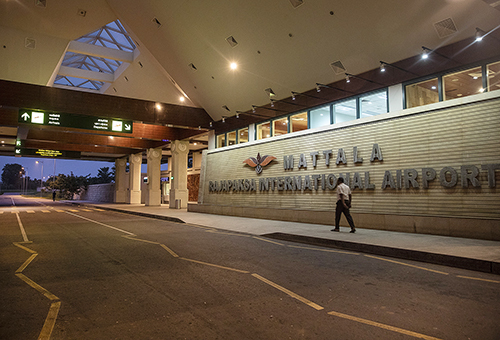 In addition to its surrender of Hambantota port to China, Sri Lanka has a new Chinese-built airport that virtually no one uses.25 “It is literally the world's emptiest airport,” says Hillman of the Center for Strategic and International Studies. Environmentalists warn that many BRI projects could damage biodiverse areas. In November, Pence mocked Chinese construction on BRI projects as low quality. In Kenya, for example, a $12 million bridge collapsed in 2017.27 Pence also accused China of bullying its BRI trading partners, portraying the program as a Trojan horse for extending China's geopolitical clout. Is the BRI fulfilling China's economic and strategic goals? When President Xi unveiled his Belt and Road Initiative in 2013, he envisioned an impressive set of economic and strategic benefits that would flow from the hard and soft networks linking China to the rest of Asia, Africa and Europe. The Chinese-financed infrastructure projects would strengthen trade and financial integration with BRI countries, he said, and facilitate greater policy coordination with their governments. And the soft components of the initiative, such as student scholarships and a new Chinese international finance payment system, would advance Chinese models for business and governance. Analysts say the program has achieved remarkable growth in membership and produced impressive economic and strategic results for China in a short period. Energy projects dominate China's Belt and Road Initiative (BRI), followed by transportation and real estate construction and investment. Eleven percent of the $404 billion in BRI spending so far is classified as “troubled,” meaning those loans are in or near default or the investments have failed. Figures for 2018 are for six months and are preliminary. For now, however, the BRI continues to add countries to its roster. Since its launch with 64 partner countries at the end of 2013, the BRI has nearly doubled in size to 117 countries in 2018, according to the China Global Investment Tracker. Analysts who monitor the program say China is now funding thousands of BRI projects on every continent but Antarctica. China's ambitions for the BRI appear boundless. Beijing has called upon the nations bordering the Arctic Circle to cooperate in developing a “Polar Silk Road” that would exploit energy sources in the region and link China and Europe through the Arctic Ocean. The initiative even has reached outer space, with Beijing aiming to provide BRI countries priority access to China's new Beidou satellite-navigation system. At its current rate of growth, the BRI could meet its $1 trillion pledge in combined investment and construction activity in roughly four years, says China scholar Derek Scissors, who created the China Global Investment Tracker. The BRI also is helping China fulfill another economic goal: greater use of its renminbi currency in international trade. Until 2015, all international trade transactions were conducted in dollars through the SWIFT interbank payment system. But as part of the BRI, Beijing established the China International Payment System to facilitate cross-border renminbi transactions. The BRI has provided China with a raft of strategic rewards. 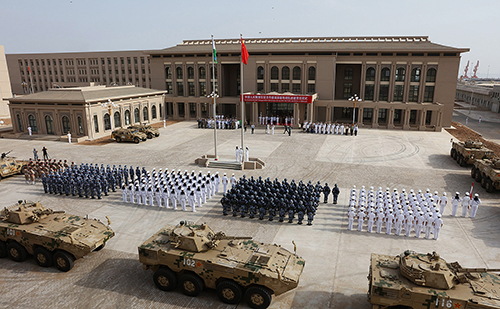 For example, Beijing's investments in Djibouti, a tiny African country that serves as a gateway to the Red Sea and the Suez Canal, have resulted in China establishing its first overseas military base there. And of the $1 trillion in loans that China made to developing countries between 2005 and 2017, according to the American Enterprise Institute's Scissors, more than a third — $370 billion — are “troubled investments,” which include nonperforming loans and investments in deals that either have failed altogether or have not produced any profits. Van de Ven says China's state-owned development banks are at high risk of having large numbers of nonperforming loans on their balance sheets at a time when China's domestic banks already have high numbers because of the nation's economic slowdown. Several economists who track the BRI say that officials at China's development banks recognize the risk of their growing debt exposure and are trying to walk a fine line between reining in their BRI loans and following Xi's orders to fund his signature policy. As a result, BRI lending has continued but at a reduced pace. According to figures compiled by the RWR Advisory Group, combined overseas lending by Beijing's two principal policy banks, the China Development Bank and the Export-Import Bank of China, fell from $221 billion in the 2013-16 period to $66 bn in 2017-18. Does the BRI increase the chances for military conflict between the United States and China? Graham Allison, a professor at Harvard University's Kennedy School of Government, predicted that if the animosity between the United States and China continues unchecked, the two nations are more likely to go to war than many people realize. Allison's prediction was the sobering takeaway from his 2015 book, Destined for War: Can America and China Escape Thucydides's Trap? The book takes its title from the ancient Greek general and historian who concluded that the Peloponnesian War in the 5th century B.C. stemmed from the threat that a rising Athens posed to the established power of Sparta. While Allison cited mounting tensions over China's claims to the South China Sea as a trigger for a U.S.-China conflict, some analysts point to Xi's Belt and Road Initiative — and the U.S. response to it. China says it built up and militarized several reefs that it claims in the South China Sea to defend the sea lanes that make up the eastern reaches of the Maritime Silk Road, an essential component of the BRI. In response, the United States has stepped up its naval patrols in the disputed waters, prompting China to do the same. Allison also cited festering differences over trade as another possible path to war between the United States and China. While Trump and Xi reached a temporary truce over their tariff war at the December G-20 summit in Buenos Aires, many analysts say the major irritants — China's nontariff trade barriers, its theft of trade secrets and its coercive use of licensing to gain U.S. technology — remain unresolved. Meanwhile, the tensions over the BRI and trade have highlighted the important role that the two leaders’ personalities play in the larger U.S.-China rivalry and the chances for a military clash. Xi won changes to China's constitution last year that effectively have made him president for life. Emboldened by the United States’ retreat into isolationism, he appears determined to press ahead with the BRI. “There is little room for the two leaders to get along for any extended period of time,” says Cornell University's Carlson. For now, however, some analysts say that a shared fear of a war will prevent them from falling into the Thucydides trap. The National Bureau of Asian Research's Rolland says Xi and his aides designed the Belt and Road Initiative as a way to boost China's regional influence to the detriment of the United States without provoking an American military response. Dean Cheng, an expert on China's military doctrine and foreign policy at the Heritage Foundation, rejects Allison's prediction of an armed clash between China and the United States. “It's a very Western-centric view,” Cheng says. The Chinese, he explains, don't look at the world through a Thucydidean lens of rising powers challenging established powers, which form coalitions to balance the rising powers. They instead view the world through the lens of their own 5,000-year history, which has no record of Asian states aligning to balance China's power. “China's historical model is one in which China was the single, dominant hegemon for thousands of years, and all the others in Asia behaved as tributary states,” he says. With that historical framework in mind, Cheng sees increased political, economic and strategic rivalry between the United States and China, but not necessarily armed conflict. “We're not shooting at each other, but it's very clear we're competing intensely,” he says. In ancient times, the Silk Road functioned as China's economic, cultural and intellectual highway to the rest of the world. Its traffic included not only the delicate woven cloth that gave the Silk Road its name but also ancient China's most significant inventions. Some, such as the compass and paper-making, fueled the rise of empires; others, such as gunpowder and the crossbow, would hasten their fall. The traffic along the Silk Road also spread ideas and philosophies that changed people's lives. In the first century, Buddhist monks from India brought their beliefs via the Silk Road to China and the Far East. Islam's warriors thundered out of Arabia in the seventh century to spread their faith to Central Asia. European travelers returning from the Far East in the 18th century brought back Confucianism, a set of ancient Chinese beliefs that became popular among Western philosophers. But sometimes China's imperial overlords regarded anything foreign as barbaric and corrupting, prompting various attempts to shut down the Silk Road. By the time the Qing dynasty came to power in 1644, British and French appetites for Chinese tea and porcelain had made China's economy the largest in the world.46 But the emperor had no interest in European goods and closed off China's ports to Western trade except the one in Guangzhou. Meanwhile, the emperor required China's trading partners to pay in silver, leading to massive trade imbalances between those countries and China. Meanwhile, word of the Qing dynasty's weakness reached Japan, once a tributary state of China. Now a rising Asian power with a modernized army, Japan seized Manchuria in northeast China and Taiwan in 1895. Between the Europeans and the Japanese, the Silk Road had become a conduit for foreign conquest. For all practical purposes, the Silk Road ceased functioning for the next six decades, a turbulent period marked by Japan's occupation of China before and during World War II, economic chaos and a civil war that ended in a communist victory and the 1949 establishment of the People's Republic of China. With the exception of purchases from the Soviet Union, China's international trade effectively ended as Communist Party Chairman Mao Zedong and his successors implemented a succession of economic plans that focused on developing self-sufficiency and the importance of Marxist-Leninist political orthodoxy. It was not until 1978, when China's reformist party leaders under the leadership of Deng Xiaoping embraced free-market principles and revived foreign trade, that the Silk Road figuratively came back to life. Deng loosened restrictions against private ownership, relaxed procedures for foreign trade and allowed individual businesses and government offices to negotiate directly with foreign companies. These contacts produced a wide range of commercial arrangements that accelerated China's return to international trade. Unlike Mao who shunned foreign trade as an admission of China's dependence on the outside world, Deng recast foreign trade as a vital source of investment funds and modern technology that would help China become self-sufficient. Deng also created some 2,000 economic zones, where foreign companies received tax breaks and other incentives in return for sharing their advanced technology with Chinese companies. By 2013, the domestic infrastructure projects had largely been completed, which left the government with a slowing economy and an excess of industrial capacity. Later that year, President Xi unveiled what he then called the Silk Road Economic Belt and the 21st-Century Maritime Silk Road, his policy of financing trade and infrastructure networks spanning East Asia, Western Europe and Africa. The government later shortened the name to the Belt and Road Initiative. Pledging $1 trillion to finance BRI infrastructure projects, Xi directed the state-owned China Development Bank, the Export-Import Bank of China and the Asian Infrastructure Investment Bank to make the loans and investments. The strategy behind the BRI evolved from China's success in weathering the 2008 financial crisis, says the National Bureau of Asian Research's Rolland. The crisis discredited the American capitalist model in the eyes of many developing nations and even some Western countries, such as Greece, that suffered the most from the economic downturn. These developments, Rolland says, opened what China called its “strategic opportunity” to extend both its state-controlled economic model and political influence globally. Some in the West were skeptical, saying Beijing's definition of the BRI was so broad that it was difficult to determine what actually qualified as a BRI project. For example, they said that Beijing included among its BRI projects Chinese concert performances in Europe and hundreds of foreign aid projects that China began in Africa long before the BRI was announced. Xi's Belt and Road Initiative faces new headwinds as additional countries scrap their plans for China-financed infrastructure projects and he grapples with an economic slowdown at home. At the same time, however, China added 42 countries to the BRI between June 30 and October 2018, according to a report by the American Enterprise Institute.62 Their enrollment, analysts say, shows China's money remains a powerful draw, even as some countries reassess their participation in the program. 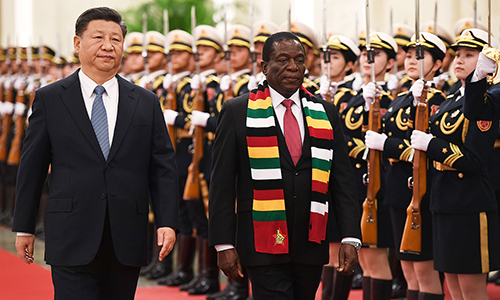 The BRI's setbacks, these analysts say, reflect the growing acceptance of the narrative, advanced by the United States, the European Union, Japan, India and Australia, that depicts the initiative as a risky venture that could leave developing countries so heavily indebted to Beijing that they might have to forfeit strategic assets in the event of a default. Meanwhile, Pakistan, which has taken out billions in BRI loans to finance the China-Pakistan economic corridor, faces an $18 billion balance of payments deficit, aggravated by its purchase of expensive Chinese machinery needed for BRI construction projects. Analysts said Beijing was likely to see the Lisbon accord as an important victory because European Union officials, wary of China's growing geopolitical influence on the continent, had urged Portugal not to join the BRI. The peripatetic Xi followed up in December with a visit to Panama, where he secured a $1.4 billion contract for a Chinese company to build a bridge over the Panama Canal.74 The deal would extend Beijing's economic and political influence to the Western Hemisphere's most vital choke point for shipping. But Vanuatu's leaders dismissed Australia's concerns, publicizing details of the wharf contract to prove it contained no provisions for a Chinese takeover in case of a default. They also insisted they could pay China back and make their own decisions about working with Beijing. “The loan was considered economically viable for such infrastructure as the main gateway for international trade between the northern part of the country and the rest of the world,” said Vanuatu Foreign Minister Ralph Regenvanu. Yet Australia last October could not stop the Victoria state government from becoming the first in the country to sign on to the initiative.79 Australian law gives its states wide latitude in pursuing international trade agreements. Many analysts predict the Belt and Road Initiative will slow down in the coming years as President Xi shifts the focus to smaller infrastructure projects that can provide rapid results for participating countries. Meantime, rival infrastructure initiatives undertaken by the United States and its allies are expected to sharpen competition with China for influence in the developing world. But China, with far more money to offer than its rivals and under intense pressure from Xi to make the BRI a success, will not be pushed aside easily, experts say. Experts expect trade disputes between Washington and Beijing to spill over into other areas, raising the stakes for their competing infrastructure loan initiatives. And as the developing world watches the U.S.-China rivalry play out, China can expect some of its BRI partners to demand more-favorable terms on their loans. Other nations will play China and the West against each other for the best loan deals. Despite Beijing's efforts to improve its international image, some analysts predict China may employ more debt-trap financing to take possession of strategic assets in cash-strapped BRI countries. They also suspect China will install facilities at BRI port projects, such as Pakistan's Gwadar, to accommodate China's warships. The coming years also are likely to see delays or the failure of some BRI projects because of construction difficulties, contract disputes and political unrest. But analysts agree that as long as Xi remains at the helm, he won't stop trying to resolve such challenges in his determination to make the BRI a pillar of China's power and influence. Is China lending money in ways that exploit its Belt and Road partners? China has shown itself to be an irresponsible lender in some cases, but for the most part, its finance program for developing countries does not carry major debt risks. In a recent study for the Center for Global Development, we found that most of the 68 countries identified under China's Belt and Road Initiative have sustainable debt levels, and loans from China do not threaten to change this outlook much. Eight Belt and Road countries do have rising debt levels that have raised red flags, and Chinese lending in these cases seems to be proceeding with indifference to these risks. This includes Djibouti, which has made an export industry of its strategic locale by hosting commercial ports and military bases for countries like the United States and now China. But even in this extreme case, where loans from China threaten to cause Djibouti's debt to spike to an alarming 90 percent of the country's GDP, it is hard to determine whether Chinese policymakers are deliberately seeking to drive Djibouti's government into a debt crisis. But more often, China does not seem to be exploiting those countries’ debt problems for other gains. Over the past decade, there have been nearly 100 cases of China rescheduling or forgiving debt in order to avoid defaults. Sometimes these concessions appear to come with strings attached, as in the case of Sri Lanka's Hambantota port, where an inability to pay back a loan to China caused Sri Lanka's government to turn over ownership of the port to the Chinese. Most Chinese debt rescheduling appears to reflect genuine efforts to extend terms in order to ensure repayment. In short, like any other lender, China expects to get paid back when it offers a loan. China's lending practices clearly lack important constraints, resulting in many instances of irresponsible lending. For example, while China is one of many creditors to developing countries in general, it is now the dominant creditor to the riskiest of these countries — those that have been through massive rounds of debt relief from global creditors and once again find themselves in debt distress. In these situations, large-scale lending on China's part is not good for the distressed countries and, ultimately, is not good for China. After all, how long can a lending operation stay afloat if it is indifferent to borrower risk? China does not want to set “debt traps,” in which it saddles governments with more debt than they can service and then forces them to surrender assets, such as ports. China cannot afford debt traps along the Belt and Road, nor does it need to. Some argue that in order to gain influence, China baits poor countries with cheap financing offers that they cannot repay. But China gains influence in most Belt and Road countries simply by being the only partner that is willing to provide construction services or loans in difficult environments. Losing additional money via debt traps is thus unnecessary. As far as affordability, debt traps would pressure China's now-vulnerable foreign exchange reserves. The Belt and Road Initiative consists primarily of construction projects, not investment. These projects are typically accompanied by cheap Chinese financing, funded by foreign reserves. While China's foreign exchange reserves, at $3.1 trillion, remain considerable, they have dropped nearly $1 trillion from their 2014 peak and remain at risk due to trade tensions with the United States. Granted, China can win collateral in countries that default on payments. But it is rare that these assets generate foreign exchange. A small number of high-profile cases feed hype surrounding debt traps. Most notorious is the Sri Lankan port at Hambantota, acquired by China Merchants Shipping as collateral. However, Hambantota is one case in roughly 500 large construction projects in the Belt and Road Initiative. A more reflective example of a debt trap is Venezuela, a newly inducted country in the Belt and Road. From 2005 to 2017, China lent Venezuela $62 billion against oil purchases. Venezuela's economy has deteriorated, leaving an outstanding balance of nearly $20 billion in loans. But even now, China is still pouring money into Venezuela's state oil company in the hopes of recovering lost foreign exchange — good money after bad. Replicating this on a smaller scale with other Belt and Road countries is indeed a trap, one that China does not want to be caught in. Providing cheap financing produces enough of a strain on China's foreign exchange reserves as it is. With influence already won with this financing, and with giant state-owned construction firms willing to take on unprofitable projects, China has no need to go further. Winning collateral while losing dollars is almost always going to be a bad trade for Beijing. 130 B.C.–A.D. 1860 Silk Road enables China to trade with the West. 130 B.C. Silk Road, which grows into a network of overland trade routes connecting China with Eurasia and Europe, opens. 618–907 Silk Road expands to include maritime routes to the Middle East and East Africa, creating one of China's greatest periods of prosperity. 1275 Venetian adventurer Marco Polo arrives in China; his descriptions inspire a boom in European trade with China. 1368–1644 Ming dynasty expands trade along the maritime Silk Road. 1839–1860 Britain's Opium Wars force China to allow foreign trade after Qing dynasty rulers try to stop the British sale of opium to the Chinese. 1912–1949 Silk Road trade dwindles as the Republic of China faces economic chaos, Japanese invasion and civil war. 1912 Republic of China is established. 1921 Chinese Communist Party is founded amid anti-government protests. 1926–1937 Chiang Kai-shek, commander of nationalist Kuomintang forces, launches a military campaign with the Communists to overthrow the government but later attacks the Communists, forcing their “Long March” retreat in 1934. 1937–1945 Japan seizes Chinese province of Manchuria, then occupies the entire country during World War II. 1945–1949 After Japan's World War II defeat, civil war erupts between Kuomintang and Communist forces, resulting in a Communist victory, the establishment of the People's Republic of China and the Kuomintang's flight to Taiwan. 1949–1999 Reformers cause upheaval and, eventually, dramatic growth. 1958–1962 Mao Zedong's Great Leap Forward, a program designed to communize all farming, devastates agriculture, bringing China's economy to the brink of collapse. 1966–1976 Mao's Cultural Revolution delivers another economic blow as professionals are forced to perform manual labor and Red Guards assume management of factories and mines. 1978 Under reformer Deng Xiaoping, China embraces limited market economy principles and allows foreign trade to resume. 1979 U.S. and China establish full diplomatic relations. 1979–1984 Deng creates four special economic zones giving foreign investors tax breaks and other preferential treatment. 1993 China's economy continues to expand, fueled by the establishment of 2,000 more special economic zones. 1996 China's economy grows 9.5 percent. 2000–Present China revives the Silk Road. 2000–2008 China's economy grows at an average 10 percent annually, the highest in the world. 2009 In response to the global financial crisis, China invests $586 billion in domestic infrastructure, fueling an industrial surge at home and a global commodities boom abroad to meet China's demand for raw materials. 2011 President Barack Obama outlines his “pivot to Asia,” an integrated diplomatic, military, and economic strategy to confront China's rise. 2013 With China's economy slowing, President Xi Jinping announces his Belt and Road Initiative to build transportation, energy and telecommunications networks connecting China to Europe, Africa and the rest of Asia. 2017 President Trump withdraws the United States from the Trans-Pacific Partnership, a 12-nation trade agreement designed to pull Pacific nations closer to the United States. 2018 After several countries cancel or scale back Belt and Road projects over debt concerns, President Xi announces the program will focus on smaller projects. New agency to compete with the Belt and Road Initiative. Why the turnaround? Administration officials and independent experts say Trump understands the need to counter China's Belt and Road Initiative (BRI) in the fight for political and economic influence in the developing world. “This is very much meant to be a new tool that allows the U.S. to compete with China in development finance,” says Scott Morris, a former Treasury Department official who is a senior fellow at the Center for Global Development, a liberal think tank in Washington that focuses on international development issues. Riley Walters, an Asia expert at the conservative Heritage Foundation think tank in Washington, says the focus of the U.S. loan program will be on developing countries in Asia and Africa where government leaders have either rejected China's loan offers or voiced concerns over the costs of Belt and Road projects. “The idea is to drive private investment toward countries where there's a strategic competition with China,” he says. Experts add that the appetite for U.S. involvement in development projects is especially strong in sub-Saharan countries, such as Kenya and Tanzania, where leaders have complained about shoddy Chinese workmanship on BRI projects and Beijing's preference for Chinese labor over local workers. The $60 billion that the new agency plans to invest in less developed countries is double OPIC's annual budget. And unlike OPIC, which extended loans only to U.S. companies operating in developing countries, the U.S. International Development Finance Corp. can lend money to foreign companies. It also can purchase equity stakes in new projects, make loans in local currencies and guarantee the bond issues of foreign governments — all in the interest of sharpening competition with China, administration officials say. But some foreign policy experts say the agency is not equipped to compete directly with China in development finance. For one thing, the agency's $60 billion is a fraction of the $1 trillion that China has earmarked for the BRI. Beijing already has made $404 billion in development loans and investments since late 2013, when the initiative begun. “There's a large discrepancy between what the U.S. is going to bring to the table in terms of public resources and what China is bringing,” says Jonathan Hillman, a China expert at the Center for Strategic and International Studies, a centrist foreign policy think tank in Washington. In addition, China's state-owned banks provide loans to governments in developing nations, which normally finance most major infrastructure improvements in those nations, such as road, bridge, water and sanitation projects. The U.S. International Development Finance Corp., by contrast, will lend only to private businesses. Experts question whether that market-driven approach can address the developing world's big need for infrastructure funding. Karen DeYoung and Ruth Eglash, “Trump administration to end U.S. funding to U.N. program for Palestinian refugees,” The Washington Post, Aug. 30, 2018, https://tinyurl.com/y79sk6yq; Mark Landler and Gardiner Harris, “Trump, Citing Pakistan as a ‘Safe Haven’ for Terrorists, Freezes Aid,” The New York Times, Jan. 4, 2018, https://tinyurl.com/y8eu567r; Justin Sink, “Trump's $4.4 Trillion Budget Boosts Defense With More Red Ink,” Bloomberg, Feb. 12, 2018, https://tinyurl.com/ydzemtje; and John Campbell, “President Trump Embraces Foreign Aid After Trying to Gut It,” blog, Council on Foreign Relations, Oct. 16, 2018, https://tinyurl.com/y9ovg944. Glenn Thrush, “Trump Embraces Foreign Aid to Counter China's Global Influence,” The New York Times, Oct. 14, 2018, https://tinyurl.com/y8jdh4ty. “Vice President Mike Pence's Remarks on the Administration's Policy Towards China: October 4 Event,” Hudson Institute, Oct. 4, 2018, https://tinyurl.com/y72mstcn; Niharika Mandhana, “U.S. Fights China for Influence, One Project at a Time,” The Wall Street Journal, Nov. 13, 2018, https://tinyurl.com/yb6kf84y. Adva Saldinger, “A new US development finance agency takes flight,” Devex, Oct. 4, 2018, https://tinyurl.com/yaxwxo4r. “USAID.gov FY 2017 Development and Humanitarian Assistance Budget,” USAID, undated, https://tinyurl.com/ya693xar; Gregory Korte, “The 62 agencies and programs Trump wants to eliminate,” USA Today, March 16, 2017, https://tinyurl.com/y9h5lxzr. The Trump administration views China's Belt and Road Initiative (BRI) — a massive program to build infrastructure in Africa, Asia and Europe — as a threat to American interests, but several U.S.-based multinational companies are happily participating in the program. The companies are earning billions of dollars supplying software and construction equipment — from generators to earthmovers — for projects that are part of China's BRI infrastructure investments. Analysts say additional opportunities are available in Belt and Road countries for U.S. banks, financial services companies and law firms. In 2017, Honeywell's sales to China increased 17 percent from 2016 and accounted for $2.9 billion of the company's $40.5 billion in revenue that year, says Honeywell spokeswoman Victoria Ann Streitfeld. GE's engineering, procurement and construction sales to China increased from $400 million in 2010 to $2.5 billion in 2017, says a company spokeswoman who declined to be named. She says most of the growth occurred since 2014, when the BRI began to gain momentum. GE's ability to win BRI contracts stems from the company's long relationship with China, the spokeswoman says. GE has been operating there for more than a century and was one of the first U.S. multinationals to return to China after it and the United States restored diplomatic relations in 1979. According to the spokeswoman, some 40 percent of the hardware GE sells to China is manufactured at GE plants there. Meanwhile, global construction equipment manufacturer Caterpillar, based in Deerfield, Ill., has established more than two dozen dealerships across China to sell its line of huge excavators, earthmovers and road-making machinery to Chinese companies working on BRI construction and mining projects in Central Asia and Africa. Chinese President Xi Jinping has stressed that the BRI is open to all countries and companies, but analysts say U.S. firms that have secured contracts linked to the initiative have done so only because they can provide technology and machinery that the Chinese do not have. But big U.S. construction companies such as the Bechtel Group in San Francisco and Fluor Corp. in Texas have been effectively frozen out of the initiative. That is because the developing nations that borrow money from China's state-owned banks to finance BRI infrastructure projects are required to hire state-owned Chinese construction firms. “This is all about helping Chinese [construction] firms, not helping American firms,” says Johan van de Ven, senior analyst at RWR Advisory Group, a consulting firm in Washington. He notes that U.S. law similarly requires domestic development banks to lend only to U.S. construction companies. “What is the Belt and Road Initiative?” Honeywell, Sept. 8, 2017, https://tinyurl.com/y842z7wq; Evelyn Chang, “Honeywell, other US companies hope to benefit from China's gigantic ‘Belt and Road’ initiative,” CNBC, March 12, 2018, https://tinyurl.com/yawltz45. Yang Ziman, “Sinomach links with GE in clean-energy initiative,” China Daily, Sept. 18, 2015, https://tinyurl.com/yahyu6lc. Zheng Xin, “Foreign firms, too, gain from Belt & Road,” China Daily, Jan. 15, 2018, https://tinyurl.com/y8ehco2k. 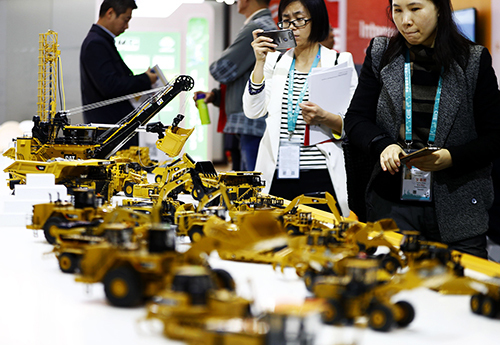 Rajesh Kumar Singh and Brenda Goh, “Caterpillar drives sales on China's new Silk Road,” Reuters, March 4, 2018, https://tinyurl.com/y8omuruk. “2017 Waters Annual Report,” Waters Corp., 2017, https://tinyurl.com/ybbgwhkm. Thomas Hale, “Western banks gather to catch the Chinese investment crumbs,” Financial Times, Sept. 25, 2018, https://tinyurl.com/y6vzn2vz. Allison, Graham , Destined for War: Can America and China Escape Thucydides's Trap? , Houghton Mifflin Harcourt, 2017. A former senior Pentagon official says rising powers like China historically have gone to war with dominant powers like the United States but that prudent policies can avoid such a fate. Economy, Elizabeth C. , The Third Revolution: Xi Jinping and the New Chinese State , Oxford University Press, 2018. A China scholar identifies the successes, shortcomings and tensions of the domestic and foreign policies of Chinese President Xi Jinping. Miller, Tom , China's Asian Dream: Empire Building Along the New Silk Road , Zed Books, 2017. A British journalist says the Belt and Road Initiative is enhancing China's global clout at the expense of the United States. Rolland, Nadège , China's Eurasian Century? Political and Strategic Implications of the Belt and Road Initiative , National Bureau of Asian Research, 2017. A former Asia adviser to the French defense ministry analyzes the origins, drivers and components of China's Belt and Road Initiative. Bräutigam, Deborah , “U.S. politicians get China in Africa all wrong,” The Washington Post, April 12, 2018, https://tinyurl.com/y9k75uqw. A political economist presents research that contradicts U.S. officials who say China's infrastructure projects in Africa are funded by predatory loans, create few jobs and grab land from local residents. Cordesman, Anthony H. , “China and the U.S.,” Center for Strategic and International Studies, Oct. 3, 2018, https://tinyurl.com/yd9hpn46. A foreign policy and defense analyst cautions that the Trump administration should not view the U.S. relationship with China as a zero-sum game. Li, Xue, and Liu Tianyi , “How Will the Indo-Pacific Strategy Impact the Belt and Road Initiative?” Hong Kong Trade and Development Council, June 19, 2018, https://tinyurl.com/yd8tzexf. Two Chinese foreign policy experts say the Trump administration's Indo-Pacific strategy poses little threat to China's Belt and Road Initiative. Majendie, Adam , et al., “Trade and Debt: How China is building an empire across new Silk Road,” Bloomberg, Aug. 3, 2018, https://tinyurl.com/y9whttfu. Bloomberg correspondents report from Yiwu, China; the Sri Lankan port of Hambantota; Gwadar, Pakistan; Mombasa, Kenya; and Piraeus, Greece, on the impact of China's Belt and Road Initiative on these critical locations. Marston, Hunter , “The US Needs a Reality Check on China's Belt and Road,” The Diplomat, May 31, 2018, https://tinyurl.com/y95zw2yu. An analyst argues that Washington must offer a credible alternative to the Belt and Road Initiative if it is going to compete successfully with China in Asia. Sharma, Mihir , “China's Silk Road Isn't So Smooth,” Bloomberg, July 10, 2018, https://tinyurl.com/y8hprqdd. A Bloomberg columnist says recent decisions by several Asian countries to scrap or scale back their Belt and Road projects have stalled President Xi Jinping's signature foreign policy initiative. “Meeting Asia's Infrastructure Needs,” Asia Development Bank, February 2017, https://tinyurl.com/y9zw24u2. The Manila-based development bank says Asia must invest $26 trillion in infrastructure by 2030 to maintain economic growth, reduce poverty and deal with climate change. Prasad, Eswar , “China's Efforts to Expand the International Use of the Renminbi,” U.S.-China Economic and Security Review Commission, Feb. 4, 2016, https://tinyurl.com/yctupc7e. A Cornell University trade policy professor says some of China's steps to promote its renminbi currency are gaining traction in global trade and finance. Sautman, Barry, and Yan Hairong , “Localizing Chinese Enterprises in Africa: from Myths to Policies,” Hong Kong University of Science & Technology, Institute for Emerging Market Studies, February 2015, https://tinyurl.com/ycmqzw7c. Data from more than 400 Chinese enterprises and projects in Africa show that 87 percent of their workforces are African laborers, contradicting Western critics who say Chinese projects create few local jobs. Smith, Jeff , “China's Belt and Road Initiative: Strategic Implications and International Opposition,” Heritage Foundation, Aug. 9, 2018, https://tinyurl.com/y72r4so5. An expert at a conservative Washington think tank analyzes the strategic advantages China has gained through its Belt and Road Initiative and the growing pushback to the policy. Chaudhury, Dipanjan Roy , “Africa cancels a Belt and Road Initiative project for the first time,” Economic Times, Oct. 25, 2018, https://tinyurl.com/ya7pkq5u. Sierra Leone President Julius Maada Bio pulled out of a deal made by his predecessor for China to construct a $318 million airport outside the country's capital. Dixon, Robin , “China has spent billions in Africa, but some critics at home question why,” Los Angeles Times, Sept. 3, 2018, https://tinyurl.com/ydzyhyjs. China's massive Belt and Road spending in Africa is drawing increasing domestic criticism, with some Chinese academics and citizens arguing the money would be better spent internally. Tiezzi, Shannon , “China's Belt and Road Makes Inroads in Africa,” The Diplomat, July 31, 2018, https://tinyurl.com/ycjy4e2d. 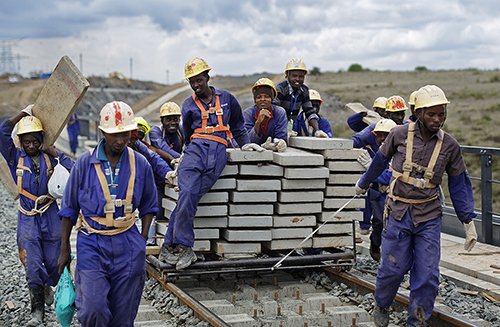 Senegal and Rwanda signed on to Belt and Road infrastructure plans last year, including the construction of a roadway and participation in an ongoing railway project. “Fearing debt trap, Pakistan rethinks China's Belt and Road projects,” The Straits Times, Sept. 30, 2018, https://tinyurl.com/yb48pax7. Pakistan's new government has been attempting to renegotiate all Belt and Road deals that appear to favor China financially. Anwar, Anu , “How BRI poses risks to 21st-century geopolitical landscape,” Asia Times, Jan. 15, 2019, https://tinyurl.com/yamg439y. Overly ambitious projects and the likelihood of some countries defaulting on their loans mean China is overextended financially because of the Belt and Road Initiative, says a geopolitical analyst. Griffiths, James , “Are the wheels coming off China's Belt and Road megaproject?” CNN, Dec. 31, 2018, https://tinyurl.com/ya2dthus. Some countries, such as Kenya and Indonesia, have begun struggling to meet their loan obligations under the Belt and Road Initiative. Alkon, Meir , “Water is getting scarcer. Is foreign investment making the problem worse?” The Washington Post, Dec. 21, 2018, https://tinyurl.com/y9kv83vr. South Asia's limited fresh-water resources will become further strained as China builds power plants and other infrastructure under its Belt and Road Initiative, says a Princeton University Ph.D. candidate. Gokkon, Basten , “Environmentalists Are Raising Concerns Over China's Belt and Road Initiative,” Pacific Standard, July 18, 2018, https://tinyurl.com/yc88wzxj. China's Belt and Road Initiative could harm at least 265 threatened species, according to a 2017 World Wide Fund for Nature analysis. Hilton, Isabel , “How China's Big Overseas Initiative Threatens Global Climate Progress,” Yale Environment 360, Jan. 3, 2019, https://tinyurl.com/ycntpesu. The Belt and Road Initiative will lead to greater industrialization and coal-burning, raising greenhouse gas emissions, says a London-based climate change editor. “China expanding access to strategic foreign ports: Pentagon,” Press Trust of India, Business Standard, last updated Jan. 16, 2019, https://tinyurl.com/y6wvogqq. China's army is a growing presence at strategic ports near the Indian Ocean in Pakistan and Sri Lanka, according to a recently released Pentagon report. Abi-Habib, Maria , “China's ‘Belt and Road’ Plan in Pakistan Takes a Military Turn,” The New York Times, Dec. 19, 2018, https://tinyurl.com/ybyajo6q. The Belt and Road partnership has paved the way for further military collaboration between China and Pakistan, with Pakistan agreeing to manufacture weapons and military aircraft for China. Parameswaran, Prashanth , “What's in the China-Cambodia Military Base Hype?” The Diplomat, Nov. 24, 2018, https://tinyurl.com/y9mrvv8y. China has cemented Cambodia's growing participation commercially and militarily in its Belt and Road Initiative by establishing a naval base in the country, says a senior editor at The Diplomat. Conservative think tank that created and regularly updates the China Global Investment Tracker, the only U.S. database that monitors China's Belt and Road activities.
. Leading Australian think tank for China policy and regional security issues; produces papers and holds briefings. Liberal think tank that conducts research and produces policy papers aimed at reducing poverty in the developing world. Nonpartisan research institute with strong China and Asia-related programs; publishes papers and reports and holds symposia featuring senior current and former officials. China's top school for diplomats, administered by Ministry of Foreign Affairs; website takes questions from researchers. Conservative think tank that provides analytical papers, reports and books on Asia and China-related issues; experts provide commentary on Asian developments. The university's political science faculty provides a China-centric view of global affairs. Centrist think tank that offers papers, books and reports on Asian regional and national security issues, as well as expert briefings. 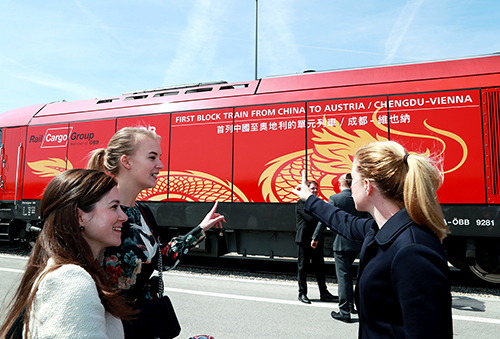 Benjamin Kentish, “First direct train service from China to the UK arrives in London,” The Independent, Jan. 18, 2017, https://tinyurl.com/yabz376a; “Shanghai to Lisbon by train,” Railcc, Sept. 12, 2018, https://tinyurl.com/yad292k9; and “Silk Road Chengdu-Europe Express Rail — Connecting the World,” Realogistics, undated, https://tinyurl.com/ycqn2k3b. Fumbuka Ng'wanakilala, “Tanzania signs $1.2 bln deal for new railway line,” Reuters, Feb. 3, 2017, https://tinyurl.com/yanfb6vy; “Railway project connecting Pacific, Atlantic still on track: Chinese embassy in Brazil,” Global Times, Feb. 15, 2018, https://tinyurl.com/y7r7uwfb; and Daniel S. Markey and James West, “Behind China's Gambit in Pakistan,” Council on Foreign Relations, May 12, 2016, https://tinyurl.com/y8b999vk. Sulmaan Wasif Khan, “Grand Strategy in China From Mao to Xi: ‘Haunted by Chaos,’ ” Wilson Center, Sept. 27, 2018, https://tinyurl.com/y784gv7o. Jonathan E. Hillman, “How Big Is China's Belt and Road?” Center for Strategic and International Studies, April 3, 2018, https://tinyurl.com/yao7wceu. China Global Investment Tracker, American Enterprise Institute and the Heritage Foundation, 2018, https://tinyurl.com/pefswye; Cecilia Joy-Pérez and Derek Scissors, “Be wary of spending on the Belt and Road,” American Enterprise Institute, Nov. 14, 2018, https://tinyurl.com/yapksfo7. “Marshall Plan,” Encyclopedia Britannica, Dec. 6, 2018, https://tinyurl.com/kjalo4t. The World Bank total is compiled from the annual reports for fiscal years 2013-2017: https://tinyurl.com/k9doypk; https://tinyurl.com/lhs5m67; https://tinyurl.com/y7aossbl; and https://tinyurl.com/ybu9rjwy. Keith Johnson, “Why Is China Buying Up Europe's Ports?” Foreign Policy, Feb. 2, 2018, https://tinyurl.com/y6u6alss. Joy-Pérez and Scissors, op. cit., p. 5. Secretary of State Michael R. Pompeo, “Remarks to Traveling Press,” U.S. Department of State, Oct. 18, 2018, https://tinyurl.com/yaad9s2p. “Full text of Chinese President Xi's speech at APEC CEO summit,” Xinhua, Nov. 17, 2018, https://tinyurl.com/y8lo5qjk. Josh Zumbrun and Siobhan Hughes, “To counter China, U.S. Looks to Invest Billions More Overseas,” The Wall Street Journal, Aug. 31, 2018, https://tinyurl.com/yc6grs8x. Mark Landler, “The Road to Confrontation,” The New York Times, Nov. 25, 2018, https://tinyurl.com/ybywwdlj. Mireya Solís, “Trump withdrawing from the Trans-Pacific Partnership,” Brookings Institution, March 24, 2017, https://tinyurl.com/yb4p6898. 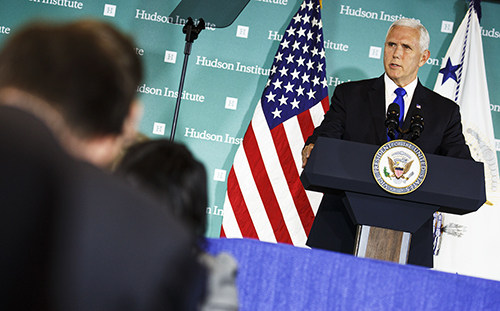 Vice President Mike Pence, “Remarks on the Administration's Policy Towards China,” Hudson Institute, Oct. 4, 2018, https://tinyurl.com/y72mstcn. John Hurley, Scott Morris and Gailyn Portelance, “Will China's Belt and Road Initiative Push Vulnerable Countries Into a Debt Crisis?” Center for Global Development, March 5, 2018, https://tinyurl.com/ycjxp225. George Georgiopoulos, “China's Cosco acquires 51 pct stake in Greece's Piraeus Port,” Reuters, Aug. 10, 2016, https://tinyurl.com/yat8gdg5. Jason Horowitz and Liz Alderman, “Chastised by E.U., a Resentful Greece Embraces China's Cash and Interests,” The New York Times, Aug. 26, 2017, https://tinyurl.com/y94d5u2g. Nikolia Apostolu, “China's economic lifeline for Greece tangles political relations with EU,” The Washington Times, March 5, 2018, https://tinyurl.com/y7xu7e52. Catherine Wong, “Xi Jinping says belt and road plan isn't about creating a ‘China Club,’ ” South China Morning Post, Aug. 27, 2018, https://tinyurl.com/ybze74c9. Barry Sautman and Yan Hairong, “Localizing Chinese Enterprises in Africa: from Myths to Policies,” Hong Kong University of Science & Technology, Institute for Emerging Market Studies, Feb. 2015, https://tinyurl.com/ycmqzw7c. Deborah Bräutigam, “U.S. politicians get China in Africa all wrong,” The Washington Post, April 12, 2018, https://tinyurl.com/yaflyhna. Richard Bluhm, “Connective Financing: Chinese Infrastructure Projects and the Diffusion of Economic Activity in Developing Countries,” AidData, September 2018, p. 12, https://tinyurl.com/yc28jfer. Hannah Beech, “‘We cannot Afford This’: Malaysia Pushes Back Against China's Vision,” The New York Times, Aug. 20, 2018, https://tinyurl.com/ycfz224m. Tom Wright and Bradley Hope, “WSJ Investigation: China Offered to Bail Out Troubled Malaysian Fund in Return for Deals,” The Wall Street Journal, Jan. 7, 2019, https://tinyurl.com/y9ous69n. Brook Larmer, “What the World's Emptiest International Airport Says About China's Influence,” The New York Times, Sept. 13, 2017, https://tinyurl.com/ydck6oqs; Kai Schultz, “Sri Lanka, Struggling With Debt, Hands a Major Port to China,” The New York Times, Dec. 12, 2017, https://tinyurl.com/yc42gv6x. Basten Gokkon, “Environmentalists are raising concerns over China's Belt and Road Initiative,” Pacific Standard, July 18, 2018, https://tinyurl.com/yc88wzxj. Briana Duggan, “How did a $12 million bridge collapse in Kenya?” CNN, July 4, 2017, https://tinyurl.com/y97uvte9. Gerry Shih, “Pence and Xi deliver dueling speeches despite signs of trade detente,” The Washington Post, Nov. 17, 2018, https://tinyurl.com/y9prju2h. Lucy Hornby and Tom Hancock, “China pledge of $60bn to Africa sparks anger at home,” Financial Times, Sept. 4, 2018, https://tinyurl.com/y7otxm5k. “MOFCOM Department of Foreign Trade Comments on China's Foreign Trade Operation in January-October, 2018,” Ministry of Commerce, People's Republic of China, Nov. 14, 2018, https://tinyurl.com/y76mlmc7; Wong, op. cit. Eswar S. Prasad, “China's Efforts to Expand the International Use of the Renminbi,” Brookings Institution, Feb. 4, 2016, https://tinyurl.com/yctupc7e. Maria Abi-Habib, “China's ‘Belt and Road’ Plan in Pakistan Takes a Military Turn,” The New York Times, Dec. 19, 2018, https://tinyurl.com/ybyajo6q. “China Resumes Ties with São Tomé, Which Turned Away from Taiwan,” The Associated Press, The New York Times, Dec. 26, 2016, https://tinyurl.com/yd7hlg3k; Carrie Khan, “China Lures Taiwan's Latin American Allies,” NPR, Oct. 13, 2018, https://tinyurl.com/ya5cx79g; and Chris Horton, “Burkino Faso Cuts Ties With Taiwan, Dealing It Another Blow,” The New York Times, May 24, 2018, https://tinyurl.com/ybeuylaa. Enda Curran, “China's Debt Bomb,” Bloomberg, Sept. 17, 2018, https://tinyurl.com/j7ht8vo. Hornby and Hancock, op. cit. Graham Allison, “The Thucydides Trap: Are the U.S. and China headed for War?” The Atlantic, Sept. 24, 2015, https://tinyurl.com/jh9qbef. Michael T. Klare, “The United States Is Pushing Toward War With China,” The Nation, June 19, 2018, https://tinyurl.com/yd4xje2v. “Annual Report to Congress: Military and Security Developments Involving the People's Republic of China 2018,” Department of Defense, May 16, 2018, pp. i, 112, https://tinyurl.com/y9znykvr. Adm. Harry Harris Jr., “U.S. Indo-Pacific Command Change of Command Ceremony,” U.S. Indo-Pacific Command, May 30, 2018, https://tinyurl.com/y7vsbzs6. David J. Lynch, “Despite pause in trade war, U.S. and China's economic relationship is forever changed,” The Washington Post, Dec. 2, 2018, https://tinyurl.com/yaxt9ve4. Clay Chandler, “Are the U.S. and China ‘Destined for War’?” Fortune, June 2, 2018, https://tinyurl.com/ydh6rqmz. David J. Lynch, “U.S. and China agree to new talks as Trump pulls back on tariffs,” The Washington Post, Dec. 1, 2018, https://tinyurl.com/y8mv7one. Edward Peters and Fosco Maraini, “Marco Polo, Italian Explorer,” Encyclopedia Britannica, Nov. 5, 2018, https://tinyurl.com/yad6a7ol. Timothy B. Lee, “40 Maps that Explain the Roman Empire,” Vox, Aug. 19, 2014, https://tinyurl.com/ybfw44cd. Angus Maddison, “Statistics on World Population, GDP, and Per Capita GDP, 1-2008 AD,” Global Health Data Exchange, Nov. 6, 2018, https://tinyurl.com/y8gbnu9w. “Opium Trade: British and Chinese History,” Encyclopedia Britannica, Jan. 3 2018, https://tinyurl.com/lysqynr. Ian Morris, “The Opium War and the Humiliation of China,” The New York Times, July 2, 2018, https://tinyurl.com/ydxldnxr. Kenneth Pletcher, “Opium Wars: Chinese History,” Encyclopedia Britannica, Nov. 2, 2018, https://tinyurl.com/jxw9hus. Immanuel C.Y. Hsu, “Late Ch'ing Foreign Relations, 1866-1905,” in John King Fairbank, ed., The Cambridge History of China (1978), p. 481. Chusei Suzuki and Albert Feuerwerker, “Late Qing: Reformist and revolutionist movements at the end of the dynasty,” Encyclopedia Britannica, https://tinyurl.com/ybdcxhzq. 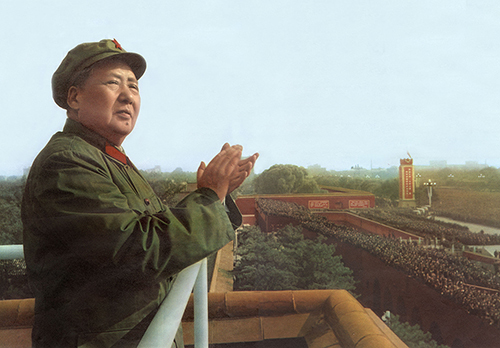 Frank Dikötter, “Mao's Great Leap to Famine,” The New York Times, Dec. 15, 2010, https://tinyurl.com/y9k4g8dr. Wayne M. Morrison, “China's Economic Rise: History, Trends, Challenges, and Implications for the United States,” Congressional Research Service, Feb. 5, 2018, https://tinyurl.com/y952ra8q. “Data, China,” World Bank, Oct. 23, 2018, https://tinyurl.com/y9334uuz; David Barboza, “China Unveils Sweeping Plan for Economy,” The New York Times, Nov. 9, 2008, https://tinyurl.com/y79gnmf5; Jonathan Broder, “Commodities Supercycles,” SAGE Business Researcher, Feb. 12, 2018, https://tinyurl.com/ycsu7gh9; and Ana Swanson, “How China used more cement in 3 years than the U.S. did in the entire 20th Century,” The Washington Post, March 24, 2015, https://tinyurl.com/ybwnm86r. Markey and West, op. cit. Nadège Rolland, “China's Eurasian Century? Political and Strategic Implications of the Belt and Road Initiative,” National Bureau of Asian Research, May 23, 2017, https://tinyurl.com/y8gekm7a. Xi Jinping, “Work Together to Build the Silk Road Economic Belt and the 21st Century Maritime Silk Road,” Xinhua, May 14, 2017, https://tinyurl.com/y8sot3t8. Charlie Campbell, “China Says It's Building the New Silk Road: Here Are Five Things to Know Ahead of a Key Summit,” Time, May 12, 2017, https://tinyurl.com/mvvojck. Joy-Pérez and Scissors, op. cit., p. 4. Robyn Dixon, “China has spent billions in Africa, but some critics at home question why,” Los Angeles Times, Sept. 3, 2018, https://tinyurl.com/ydzyhyjs. Maria Abi-Habib, “China's Belt and Road’ Plan in Pakistan Takes a Military Turn,” The New York Times, Dec. 19, 2018, https://tinyurl.com/ybyajo6q. Adnan Aamir, “Pakistan struggles to contain rise of anti-China sentiment,” Nikkei Asian Review, Nov. 26, 2018, https://tinyurl.com/y9e2lwjw. 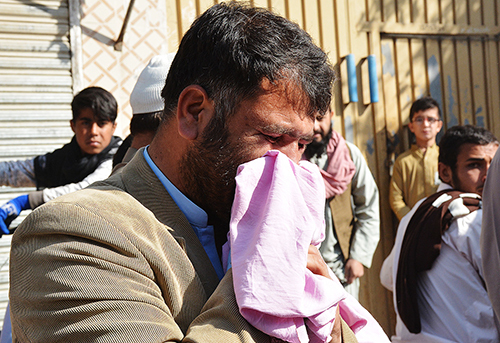 Ayaz Gul, “Suicide Bomber Attacks Chinese Engineers in Pakistan,” VOA News, Aug. 11, 2018, https://tinyurl.com/yc2ka2jw. “Mamamah Airport: Sierra Leone cancels China-funded project,” BBC, Oct. 10, 2018, https://tinyurl.com/yddk6ngx. Liu Zhen, “Portugal's support for China's belt and road plans sets alarm bells ringing in Brussels,” South China Morning Post, Dec. 6, 2018, https://tinyurl.com/y6u3b654; Johnson, op. cit. “Spain rejects China's Silk Road Plan,” Business Times, Nov. 28, 2018, https://tinyurl.com/ycsnub9a. Li Jianwei and Ramses Amer, “Xi's Visit to the Philippines: Implications for China-Philippine Relations,” China-U.S. Focus, Institute for Security & Development Policy, December 2018, https://tinyurl.com/ycqv4scg. “Chinese consortium to build fourth Panama Canal bridge,” Reuters, July 29, 2018, https://tinyurl.com/ybmlbrra. Ben Bohane, “South Pacific Nation Shrugs Off Worries on China's Influence,” The New York Times, July 13, 2018, https://tinyurl.com/y8pbtjk3. Mike Cherney, “No Way, Huawei: Australia Looks to Cut China's Line Into South Pacific,” The Wall Street Journal, April 20, 2018, https://tinyurl.com/yck39z9s. “One Belt, One Road: Victoria signs MOU to join China's controversial global trade initiative,” Australian Broadcasting Corp., Oct. 26, 2018, https://tinyurl.com/ycbzjycz. Michael Peel and Tom Mitchell, “Asia's $26tn infrastructure gap threatens growth, ADB warns,” Financial Times, Feb. 27, 2017, https://tinyurl.com/y7fcbn3q. Jonathan Broder is a Washington-based reporter and editor. He was a senior writer for Newsweek, a senior editor at Congressional Quarterly and served as a foreign correspondent in the Middle East, South Asia and the Far East for the Chicago Tribune. Broder's writing also has appeared in The New York Times Magazine, The Washington Post, Smithsonian and the World Policy Journal, among other publications. He previously reported for CQ Researcher on financial services deregulation and on India.